Foreign Minister Wang Yi’s visit to Iraq saw China’s focus expand beyond energy cooperation. China and Iraq agreed this week to expand their bilateral relationship during a rare visit to the Middle Eastern country by a senior Chinese official. Chinese Foreign Minister Wang Yi visited Iraq on Sunday as part of a broader trip throughout the greater Middle East. According to Iraqi officials, Wang was the most senior level Chinese official to visit Iraq in roughly ten years. 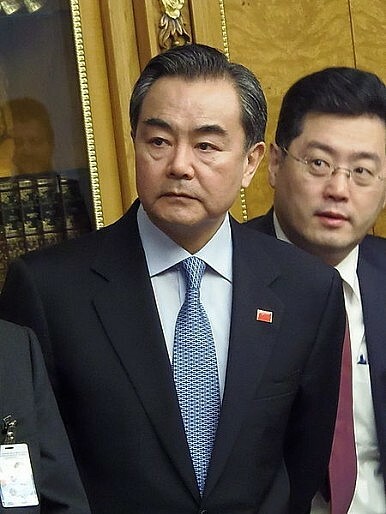 Chinese state media said Wang was the first Chinese foreign minister to visit the country in 23 years. China’s Foreign Ministry reported that Wang Yi held meetings with his Iraqi counterpart, Iraqi Foreign Minister Hoshyar Zebari, and was received by Iraqi Prime Minister Nuri al-Maliki. As The Diplomat has noted on a number of occasions, China has invested heavily in post-Saddam Iraq’s oil infrastructure, and along with Iran was arguably the greatest benefactor of the U.S. invasion in 2003. Many of China’s relationships with energy-rich countries are similarly constrained, as they tend to be defined primarily by Chinese oil and natural gas investments. Wang’s trip certainly continued to focus heavily on energy cooperation, which Wang referred to as the “backbone” of their bilateral economic ties. Wang pledged that Chinese companies would increase their investments in Iraq’s energy sector, including helping build up its oil infrastructure, and also offered Iraq’s energy industry help in creating a comprehensive development strategy for the energy sector. “The Chinese enterprises have been running in Iraq’s oil fields for many years, have rich experience and mature technology, and are willing to help Iraq build a complete oil industrial system and industrial chain from the upstream to the middle stream and the downstream to upgrade the level of Iraq’s oil industry,” Wang said. Likely in recognition of its long-term dependency on the region’s energy resources, however, Chinese leaders have been recently been advocating expanding their ties with Middle Eastern countries beyond the energy sector. For example, during a January trip to five Arab nations, FM Wang told al-Jazeera that China was interested in deepening its political, security and diplomatic role in the Arab world. Wang’s trip to Iraq seemed to reflect this new attitude. Besides expanding energy ties, Wang pledged that China would play a larger role in rebuilding Iraqi infrastructure, including its electricity, communications, and ports. He also said Beijing would focus on improving Iraqi social services like health care, and enhance people-to-people ties between Iraqis and Chinese. Zebari reciprocated by reaffirming Iraq’s adherence to the “one China” policy. The two sides also discussed regional political issues, including the civil war in Syria and the P5+1-Iranian nuclear negotiations. Meanwhile, Wang’s meeting with al-Maliki focused more on security issues, with the Iraqi Prime Minister calling for expanded bilateral security cooperation, particularly on counterterrorism. Wang agreed to help Iraq deal with its internal security programs, while calling for political reconciliation. Baghdad is currently contending with increased unrest domestically, particularly from Iraqi Sunnis who oppose the Shi’a-led central government. In recent weeks, Iraq’s government has been on a quest to purchase foreign arms to deal with the Sunni groups, after expressing disappointment over the pace of American arms deliveries. Reuters reported earlier this week that shortly after al-Maliki returned from a trip to the U.S. in November, Iraq signed a $195 million agreement to purchase arms and ammunition from Iran. Just days before Wang arrived in Baghdad, Russian Foreign Minister Sergey Lavrov visited Iraq and also discussed possible arms sales.